I don’t like apexis crystals. In fact, it wouldn’t be untoured to say that I hate apexis crystals. However I’m not one to rant without reason. So let me tell you why I dislike those infernal little shards of the past. First of all, Apexis crystals are really small. Or they must be, because it takes so dang many of them to buy even the lowest tier of gear. And because it takes so many crystals to buy things, there is a feeling that it is that much harder to obtain gear. Back in the day of Justice Points and Valor Points, it required less of that currency to buy the comparatively same gear. And while the rate of acquisition balances out, it certainly feels like it’s a lot harder to use currency to buy upgrades. The second issue is that Apexis crystals are gathered differently than previous currencies. With Justice and Valor Points, you could earn them from daily quests (which I’m glad is gone) or running dungeons/raids/scenarios. But with Apexis crystals, you either do one daily for a large amount, you get lucky with work orders, you can do some garrison missions, or you grind elites for hours. I think this is the crux of the matter. You can’t do instances to get crystals. The way it used to work was you ran instances in hopes of getting new gear. Then in case you didn’t what you needed, you went and used the points to buy gear that you couldn’t upgrade. That way you always got something out of an instance, even if the bosses gave you no drops. That also acted as an incentive to get those who might not need the gear from an instance to run the instance. Meaning in LFR, there was always at least one overgeared person to pull you along. But instead of grinding instances to get better gear, you now must grind mobs. A grind is grind, right? Wrong. Grinding instances was an experience. You could chat with other instances members (or fight with them). You could help friends gear up by running them through. You could stoke your ego and burn things down with your awesome gear. But a mob grind? You mindlessly murder hundreds of mobs for hours. Mob grinding is repetitive, dull, and anti- social. Plus, tanks and healers especially can’t mob grind nearly as effectively as dps. Instances, no matter how many times you do them, are more interesting than mob grinds. As a healer (with a tank offspec) I can’t really grind mobs. And besides that, I would way rather run an instance. In effect, apexis crystals have destroyed alternative gearing methods for me. And, they’ve taken away my incentive to run instances once I no longer need gear. I know there are other methods of getting apexis crystals, but they are not as controllable. The missions options change almost daily. Work orders are completely random. The daily is dependable, but you can only get your 800-1000 and you are done for the day. I miss the flexibility of justice/valor points. With the vast number required to buy a single piece and the time commitment and unenjoyable grinds attached, I definitely think that Apexis Crystals are a weaker aspect of this expansion. It’s completely possible that I’m doing this whole thing wrong, but they have been no use to my gearing up process. I’ve bought maybe one or two pieces of gear. Apexis Crystals just aren’t doing it for me. 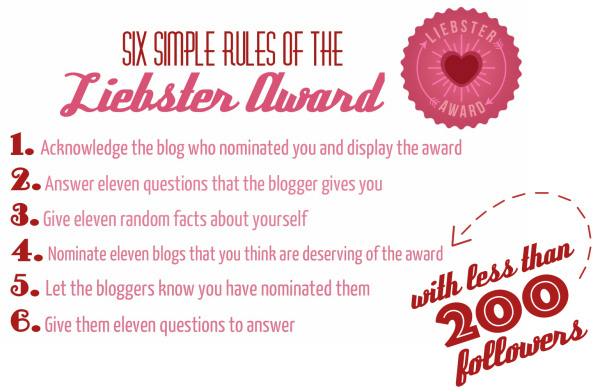 The Liebster Awards are making their way back around again! Growing Up in Azeroth has been nominated by Waiting for Rez! Yotaan and Fussypants blog their answers below! 1) How did you get started blogging? Yotaan: My daughter really enjoyed playing WoW and really enjoyed writing. It was a natural to put those two together and start a WoW blog. I joined her to supervise (of course, have to be a father, and all) and we thought it was a blogging perspective not yet covered, that of a father/daughter’s take on WoW. Fussypants: The idea was all Yotaan’s; a way to connect my love of writing with my love of WoW. I will admit though, I sort of took the idea and ran with it! 2) What ability or skillset do you most admire in others but personally lack? Yotaan: I always strive to communicate better. It can affect all aspects of one’s life. Additionally, better communication means better understanding, and one cannot stop trying to improving understanding, no matter what the subject is. Fussypants: The ability to tank. Seriously. I just can’t do it. I’m alright leveling as a tank, but once I hit max level I just can’t do it. I feel my veins fill with adrenaline and a develop a headache every time! 3) You’re a long forgotten celebrity from the 80s looking to make a comeback. Which reality show do you make an appearance on and why? Yotaan: This question completely confuses me. I suppose I need to watch more reality shows? Fussypants: The 80s? Didn’t the dinosaurs live back then? 4) What’s the origin of your blogging name? Yotaan: I’ve watched my daughter literally grow up playing WoW. But “Growing up on WoW” was taken, and Azeroth turned out be a good googleable name. Fussypants: The blog is a father daughter perspective, and one of the biggest parts about the game is the fact that I grew up in it (under Yotaan’s watchful guidance). So we wanted the name to reflect that, but as Yotaan said Growing up in WoW was taken, so we went with Growing Up in Azeroth. 5) Which blogger would you like to meet in real life and why? Fussypants: There’s this awesome cool blogger I read, name’s Yotaan. Man, I’ve always wanted to meet him in real life since the first time I read one of his articles! (:P) In all seriousness though, I think I’d like to meet any other blogger in real life. It’s one thing to read a person’s writing, but quite another to speak to them face to face. 6) What is the most important thing you’ve learned from blogging? Yotaan: Consistency is key. You have to put something out there on a regular schedule. Fussypants and I have struggled with this from time to time. Fussypants: I will second what Yotaan said, but also add my own. Not every article has to be this deep 1000 word analysis of some integral aspect of the game. I struggle with writing shorter pieces because I always feel like I need to be conveying some important opinion. Transmog articles can just be about transmog! 7) What work of fiction would you like to see made into an MMO virtual world that hasn’t been done already? Yotaan:I wold love to see the Wheel of Time series made into an MMO. There is a lot of depth to the series and I think it would work well. But it would be have to be done right, by developers that love the series. Fussypants: Hmm, that’s a toughie. I think I’d have to say Narnia, purely because there’s a lot of wiggle room for character and story development. Narnia is a pretty big and well imagined world, so it would make sense for it to be turned into an MMO. But it would have to be done very carefully to avoid being childish or dissimilar to the original. 8) What role of the holy trinity of tank/dps/healer fits your personality most? Fussypants: Definitely healer! I think of healers as those who enjoy helping others but also the leaders who are not afraid to do what what is necessary. 9) If you could have one superpower, what would it be and why? Yotaan: My most vivid dreams as a kid was being able to fly, if you just concentrate in the right way. Totally would love to be able to have that power and it would save time and gas on my work commute. Fussypants: Forget flying, I just want to be able to instantly teleport anywhere in the world. I would go to amazing natural locations and get food from different continents every day. Also, I could wake up for school way later since I could instantly teleport there. That would be really nice! 10) If you could cut and paste your favorite games into one mega-ultra-super MMO, what would it look like? Yotaan: I can’t answer this one, I play very few games, just WoW and Hearthstone. 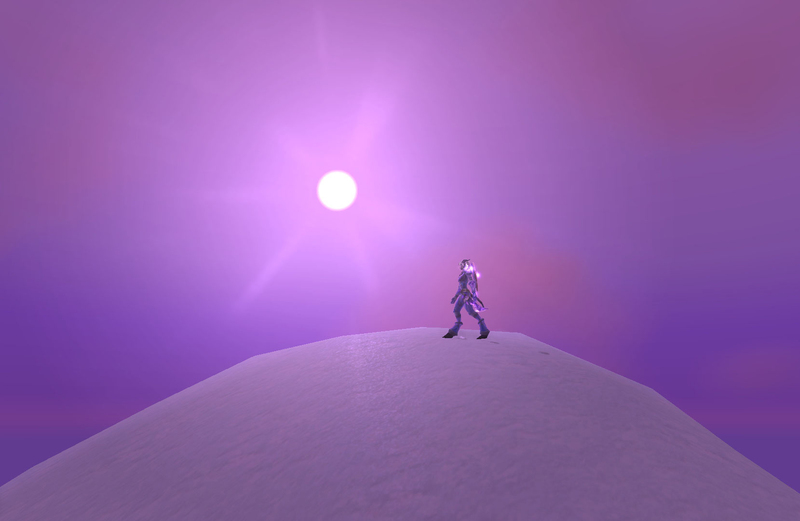 Fussypants: It would be the lore of the Warcraft RTSs turned into a ‘Everquest’ styled MMO called…. oh wait. 11) If you were to start up a video game company, what would you name it? Fussypants: Enigma Gaming, and we would make awesome RPGs. The second part of the Liebster Award is to provide 11 facts about yourself, but since Yotaan and Fussypants have already done so, we decided to give you 11 facts about the blog itself. 1) In your opinion (not based on views), which article that you’ve written is your best? 2) You wake up in Azeroth as your main character. What do you do? 4) You can have one spell in real life that isn’t a mage spell. Which one do you pick? 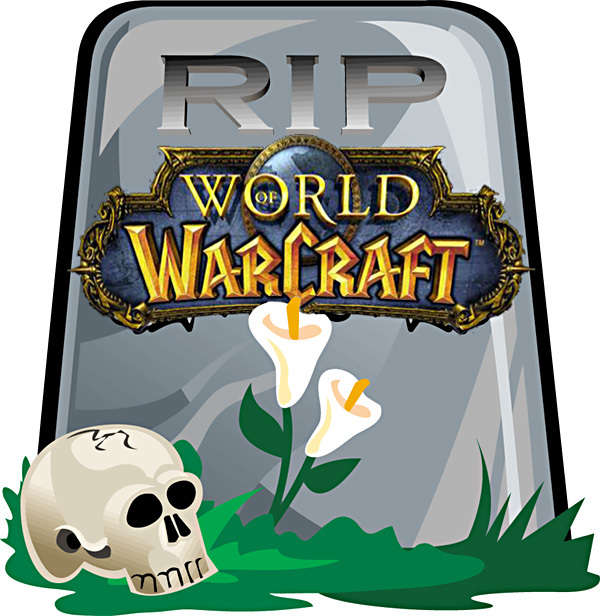 6) If you could kill off one WoW character to bring back another WoW character, who would you kill and who would you bring back? 7) What was your first video game? 8) If a patch is released and no one is there to play it, do the forums QQ? 10) On a scale of 1-10, how much have you enjoyed WoD (1 being not at all and 10 being its the best thing since sliced bread)? 11) What’s the best thing about blogging? Satire: Stop Catering to the Casuals Blizzard! Usually Twitter is the place for ranting, but today Twitter is what I’m going to rant about. So I brought the party here. Grab your popcorn folks, this ones gonna be a doozy. Patch 6.1 brought many changes, but arguable one of the most radical was Twitter integrations. The patch notes explain it best. 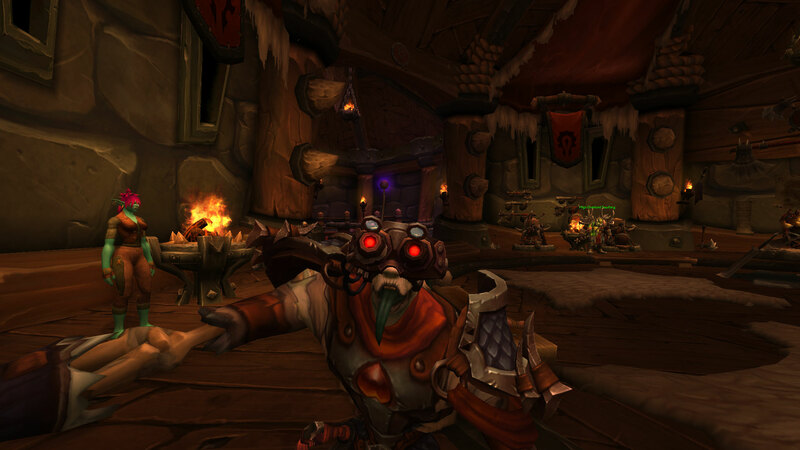 In addition to this, Blizzard also added a S.E.L.F.I.E camera as a garrison mission reward. The S.E.L.F.I.E camera allows players to take a ‘selfie’ or head shot of their character. This picture can also be used in conjuncture with the new Twitter Integration. I see what’s going on here. I’m onto you Blizzard! Stop catering to the filthy casuals! What has WoW come to?? I remember back in the day how screenshotting was! It took real skill to get that shot just right. HOURS of preparation to capture that perfect moment! If you wanted to get a picture of your character you had to wait till they stopped yawning, or bouncing, or looking around, or sniffing to take the shot. And then, right as you would hit the screencap button, your stupid toon would look away. It used to take real skill to take screenshots! Oh look at me, aren’t I so cool with my S.E.L.F.I.E camera! Now any filthy casual can do what it once took years of learning to achieve. Just click on the S.E.L.F.I.E camera and Blizzard will solve the problem for you! Any brainless mouth drooler can do it, and it makes me sick. Blizzard is ruining this game! They are making it stupid easy so any old schmuck can go and take a screenshot! People liked it when it was hard! Change it back! Vanilla WoW was the best! And don’t even get me started on the Twitter integration! What used to take a hundred dollar investment in Photoshop and months of trying to learn the program now is a simple /share command. Now everyone can post their screencaps without going through the pain of trying to find them in all the files that come with WoW and crop them to be just right! You know what, I’m gonna boycott the Twitter integration! That’ll show them! That will show them to cater to the casuals! I’ve played this game for 11 long years so I deserve to be appeased. My opinion matters more than the noobs that started in WoD! What will happen next? Free Mythic raiding tiers for logging in? Full sets of conquest gear for killing one mob? Rare mounts for turning in any quest? It’s a slippery slope I tell you, and I just won’t stand for it! This game is dying! Any noob can now take high quality screenshots and post them to twitter. The game is easymode! No one will play, there is no challenge! People loved spending hundreds of dollars and hours perfecting their skills! Don’t you dare listen to the casual’s whining; change it back! So take to the forums my righteous friends! Give Blizzard a piece of our mind about this keyboard-turning camera! Make them see the truth of their actions! Shout it to the world and don’t let anyone correct you! This selfie camera is the nail in the coffin; WoW is dead! Filthy casuals ruining the game….